In this episode we have LIVE IELTS Speaking practice with a REAL IELTS student! Her name is Jeaninne, and she lives in Brazil. Jeaninne is also a 3 Keys student, and was chosen for a free consultation with me! Her biggest worries were about the Speaking exam, so that’s what we focused on exclusively in this episode. I’ve worked through so many grammar books, and I STILL don’t feel like my grammar has improved. In this case, something is obviously broken in the way she’s preparing, because it’s not working! Therefore, what’s the fix? What’s the solution? When you get to an intermediate level and above, and you’re studying for IELTS, you must realize that spending time on grammar is waste of your time. It takes at least a year to move from a 6 to a 7 in grammar! So, instead, focus on Fluency/Coherence, Vocabulary, and Pronunciation. After a brief IELTS Speaking Part 1 Practice with Jeaninne, I had some very specific advice for improvements. And, students, this advice is for all of you as well! Go to YouTube, or another site where you can watch clips or episodes of sitcoms. Watch 10-20 seconds, pause the video, and try and copy the actors. Try and sound exactly like them- with all the exaggerated intonation and stress. Read out loud every night for 5-10 minutes. This isolates the Pronunciation and Fluency skills, and, basically, gets you used to simply getting the English words out in a smooth way. After a couple weeks of steps 1-3, start practicing IELTS Speaking answers. Do this in front of a mirror, by yourself. Finally, find speaking partners for test practice. 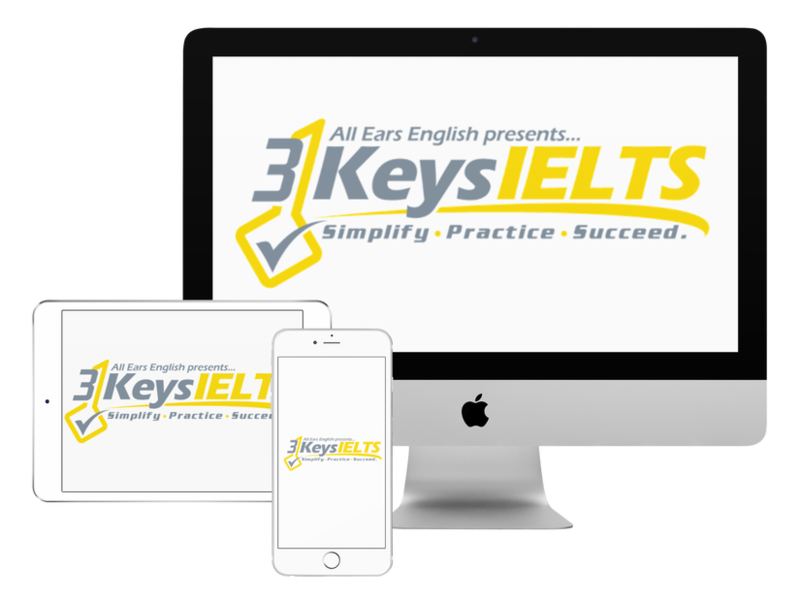 If you’re in our course, 3 Keys IELTS, there are many, many students in our closed Facebook group that are looking for practice partners! The overarching advice here is to PRACTICE. If you don’t practice speaking, it won’t magically come easily on exam day. So, challenge yourself to improve. Be ready!